Marian Rivera-Dantes will be giving birth to their baby boy anytime now. Because of that, Marian decided to closed the deliveries of her Flora Vida by Marian’s flowershop. Flora Vida woll be close for the whole month of April. Marian posted, “Hola! Flora Vida will be closed for deliveries for the month of April because I am due to give birth anytime soon. Now it’s clear that Marian’s due month is april and not march. Dingdong and Marian never gave a detailed answer when it comes to Marian’s due date. 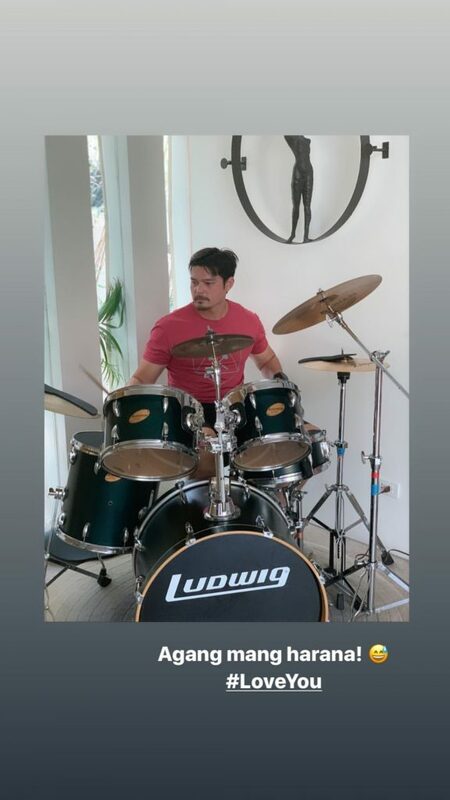 While they wait for the birth of Baby Boy, Dingdong set up a new drum set. We all know Dingdong loves to play the drum and it looks like Zia, just like her Dad, love to play it as well. Soon enough their baby boy will be playing the drums too. Here’s a clip of Zia playing the drums posted by her Mama Marian.